Marking no less than the complete reinvention of a wonderful and much-loved talent this - her 17th studio album - is a collection of brand new recordings. 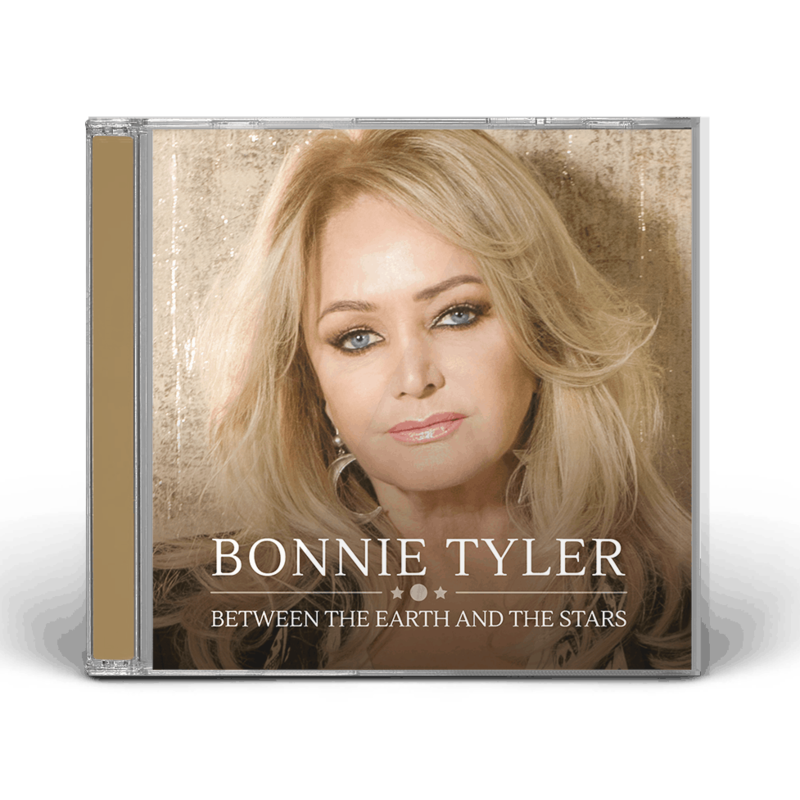 As befits an artist of Bonnie’s undoubted stature, ‘Between The Earth And The Stars’ also features collaborations and contributions from some of her fellow musical legends including Francis Rossi on ‘Someone’s Rockin’ Your Heart’. The album also includes ‘Older’, ‘Bad For Loving You’ and ‘To The Moon and Back’, three tracks written specifically for Bonnie by Amy Wadge, who wrote mega-hit ‘Thinking Out Loud’ with Ed Sheeran and has worked with Camila Cabello and many more. The album sees her reunited with David Mackay, who produced Bonnie’s first two albums. 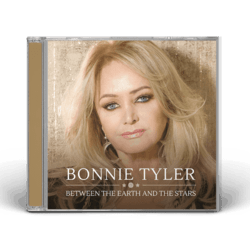 ‘Between The Earth And The Stars’ is more than just a return to form for the singer known everywhere for her genre-defining hits. Her calling cards are the global number one smash ‘Total Eclipse of the Heart’, but also of course ‘Holding Out For A Hero’. She received a Guinness World Record for ‘Faster Than The Speed of Night’ album which saw her become the first British female to debut at number one on the UK Albums Chart; the album went platinum in the US. Over and above these tracks that made her a household name, she has proved her versatility by enjoying a bilingual number one album in France, releasing Country tracks and performing duets – notably with artists as diverse as Todd Rundgren and Shakin’ Stevens. This new album keeps a link to her past with ‘Hold On’ penned by Kevin Dunne, the bassist in her 70s band, who was a big part of Bonnie reconnecting with David Mackay and creating ‘Between The Earth And The Stars’. After being discovered in Wales, Bonnie Tyler’s recording career began in 1976 with her first single, and her debut album landed the following year. With an instantly recognisable and potent voice combining grit, power and range, Tyler’s star gradually rose thanks to a series of great songs that slowly exposed her an ever-increasing audience both in the UK and in Europe. However, it was when she linked up with Jim Steinman for ‘Total Eclipse of the Heart’ and indeed ‘Holding Out For A Hero’ [recorded for the soundtrack of smash movie Footloose], that Bonnie Tyler’s career really took off. She’s never looked back.